Crafted of polished stainless steel in a slender yet sturdy silhouette, the Marissa Counter Stool displays a sleek, unique shape accented by expertly applied faux-leather upholstery in your choice of bold hues to mix or match. 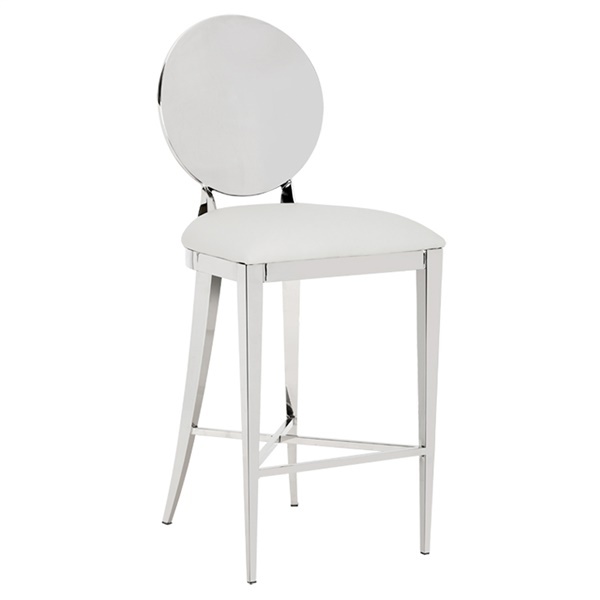 Featuring a graceful glamour along with an out-of-the-ordinary edge, Sunpan�s Marissa Counter Stool is sure to catch the eye in any cocktail area. Features a rounded seat back for immense comfort. Sleek, modern design makes the counter stool a wonderful choice in a contemporary setting. Provided in numerous stunning colors. Faux leather seat will maintain its quality for years. Polished stainless steel frame blends fashion and function beautifully.